When the summer people go we put on our shaggy ice trousers. Hi. Great shot! Where was it taken? 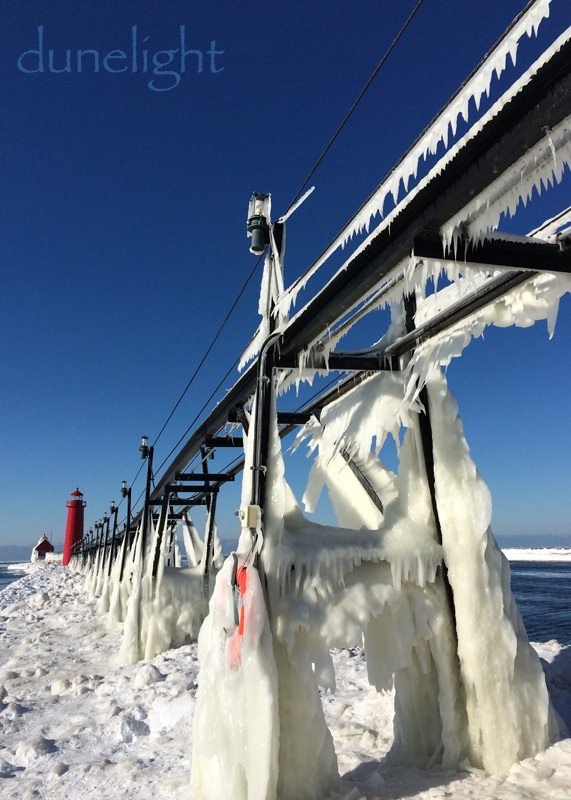 This was taken..hmm January of this year on the south pier of Grand Haven, Michigan. They have a set of ‘range’ lights. The freighter captain lines the lighthouses up and he will have a strait run up the channel..until the bit where the river bends It is a very popular tourist town. I think I have posted other photos from this pier. We have family in town so we go often enough. Thanks! You are a very talented person. The ice bridge is amazing and the carnival pictures look great in B & W.
Thank you! The carnival photos looked great in color BUT the B&W brought the human element forward.